A Shockproof rubber cased torch with 3 ultra bright LEDs. 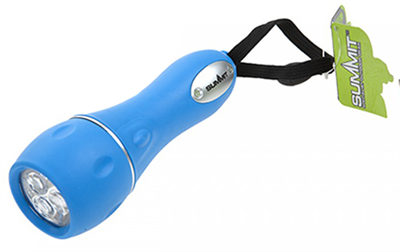 This torch comes to us in mixed cartons of orange, green and blue. If you would like a specific colour then please specifiy in your customer order notes at checkout. Stock depending we will always do our best to get you the colour you ask for.